Frustratingly for those of us that suffer from it, hay fever season is here and there’s not an awful lot we can do about it. Sure, antihistamine and hay fever medication exists for while you are out and about, but that won’t cut it at home. We shouldn’t need to medicate to make our home environment hospitable. If you have asthma, you might also have a tight feeling in your chest, be short of breath, and find yourself wheezing and coughing. If you have hay fever, it can be a real drag all through the sunny months. But fear not, our pollen-sensitive friends, for there are several ways to make your house as pollen-free as possible. This way, even if you can’t stop pollen outside, you can have a safe zone back at home. The first step to take in fortifying yourself against pollen is to stop any getting into your property. This isn’t as easy as it sounds since pollen is airborne and can also be tracked in through clothing. Be careful to take your shoes off and leave them at the door. Additionally, you might want to change out of your clothes, which may have picked up pollen and will start to feel uncomfortable once you’re indoors. You can reduce the amount of airborne pollen making it into your home with careful window management. Most flowers pollinate in the morning between 5am and 9am, so having the windows closed during this time will mean more protection. You’ll have to rely on other methods of staying cool, but it’ll all be worth it when you aren’t waking up feeling sick. There is less pollen in the air towards the end of the day, so that might be a better time to open your windows. Lastly, pollen is also pretty good at attaching itself to hair – long hair especially. The last thing you need is bringing the day’s pollen into bed with you and feeling the irritation all night. Try to wash – or at least rinse – your hair once you’ve been out and before you get into bed. If this doesn’t seem to be working, change your pillowcase more regularly (around twice a week) to see if that helps. Undoubtedly, there are readers seeing this subtitle and thinking, “Of course I clean my home regularly!” We are sure you do! But are you cleaning your home regularly and in the correct way? Some methods of cleaning can cause pollen to become more of a problem. For instance, you should avoid using a feather duster, which just lifts dust and pollen and leaves it to settle elsewhere (possibly on you). A damp cloth is better because it will collect the pollen rather than just redistribute it. Pollen is pretty good at sticking to clutter around the house; this is especially true of things like throws or cushions. If you remove these when you tidy, you can reduce the amount of pollen in your home. As much as we all love pets, it’s a sad truth that with them come allergies, and not just allergies to that specific creature. Animals that go outside – especially if they have long hair – are excellent at collecting pollen on their coats and then tracking that pollen through your household. It’s a good idea to keep them away from the bedroom during hay fever season and to give them a brush or vacuum before coming into the house. Peonies – their pollen is thick and sticky, not light, meaning it’s not air bourne. Peony season runs from April through to June. Roses – we all know roses, of course, but did you know they are also low-pollen? If you are a heavy hay fever sufferer, then stick to tight-budded roses, which release less pollen. 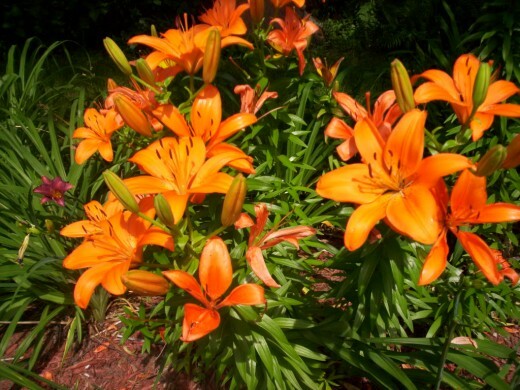 Asiatic lilies – while most lilies have a lot of pollen, these are actually pollen-free. Be aware that they are poisonous if consumed, so you might not want them around if you have any curious pets. 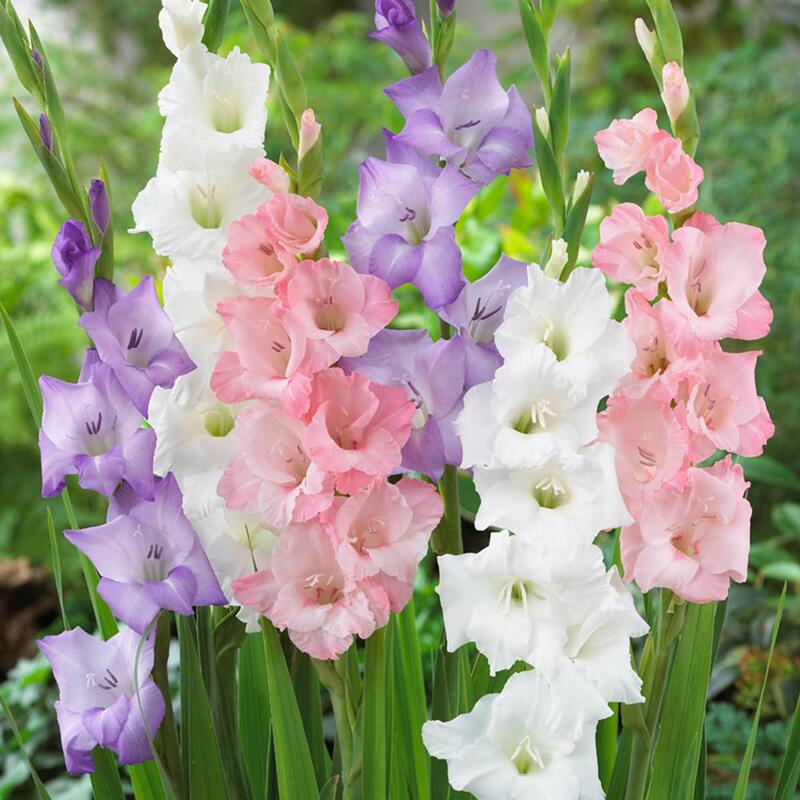 Gladiolus – also known as the ‘Sword Lily’, these flowers rate very low on the allergen scale thanks to their heavy pollen; not unlike peonies. Pansies – last but not least, pansies are another great option for interior flowers thanks to their low allergen ranking. Those are our top tips for keeping hay fever out of your home. Do you have any ideas that you think people will want to hear? Let us know on our Facebook and Twitter pages and we’ll be glad to share them!